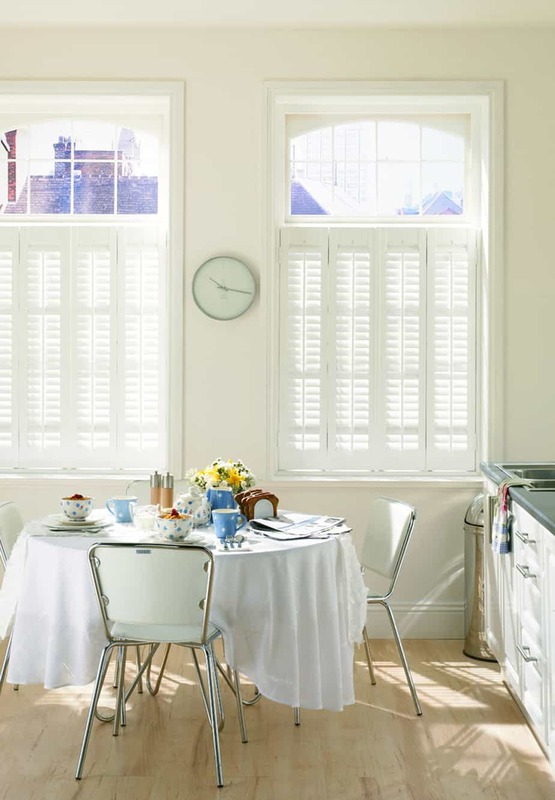 Cafe Style Shutters Will Flood Your Rooms With Light. Cafe Style Shutters are perfect for window’s at street level and in busy suburban areas, The top portion of the window is uncovered, and using shutters only for the bottom part allowing the room to flood with natural light. A great benefit to the style is that it maximises light while also providing privacy.